I am getting ready to take another group of students from the Staff College up to Gettysburg this weekend, so for the next few days I will be putting out excepts of a chapter that I have been working on dealing with the fight conducted by Abner Doubleday and First Corps following the death of John Reynolds. 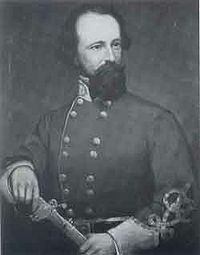 After the initial repulse of the Heth’s division, Doubleday continued to organize his defenses. He could see Heth’s division reforming its lines on Herr’s Ridge and Pender’s division as it arrived and deployed to Heth’s left. Doubleday had no directions from Reynolds as to that General’s defensive plan but be believed was that the ridges could be a redoubt and his instinct was “to hold on to the position until ordered to leave it,” an officer of the 149th Pennsylvania heard Doubleday say that “all he could do was fight until he got sufficient information to form his own plan.”  Doubleday wrote in his after action report, “to fall back without orders from the commanding general might have inflicted lasting disgrace upon the corps, and as general Reynolds, who was high in the confidence of General Meade, had formed his lines to resist the entrance of the enemy into Gettysburg, I naturally supposed that it was the intention to defend the place.”  Wadsworth’s division, bloodied but unbeaten remained in place in McPherson’s woods and across the Cashtown Road where Cutler’s brigade had fought the Confederates to a standstill at the Railroad Cut. During the lull these brigades had their ammunition replenished by his recently arrived ammunition trains. With his troops under heavy artillery fire and Heth and Pender’s divisions advancing, a new threat emerged from the north. Messengers from Gamble’s cavalry scouts of Buford’s division to the north of town reported the arrival of Ewell’s Second Corps. To meet the threat Doubleday was obliged to send Robinson’s division north to occupy the extension of Seminary Ridge known as Oak Ridge. His lead brigade under the command of Brigadier General Henry Baxter advanced to the end of the ridge near the Mummasburg Road and were joined by Brigadier General Gabriel Paul’s brigade. Unlike the relatively small brigades of Third Division whose command structures were disrupted by Reynold’s death and Doubleday’s acting command of the corps, these brigades were comparatively large and powerful units and very well led. Their commander, Robinson “an old regular whose flowing beard lent him the look of a biblical prophet, had seen considerable fighting but was yet to be tested as a division commander.”  During this battle he more than met the test of an effective division commander. As the advance regiments of the division moved into position on Oak Ridge and the Mummasburg road they were greeted by a few of Gamble’s cavalrymen who told them “You stand alone between the Rebel army and your homes. 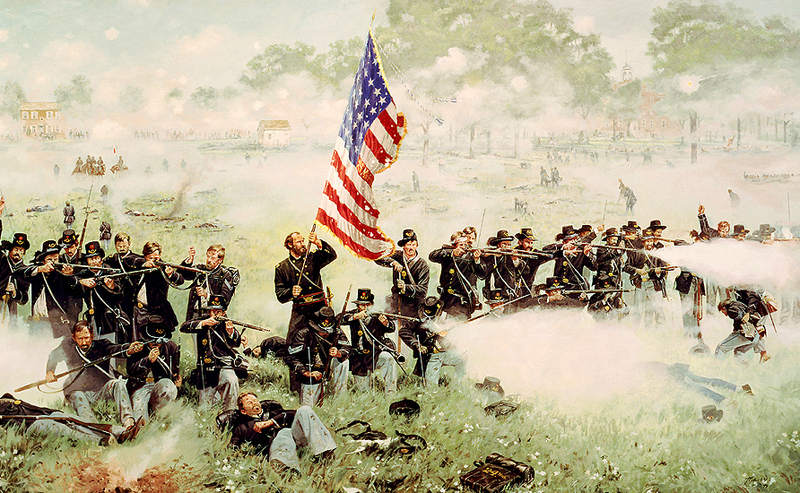 Fight like hell!”  Upon their arrival Robinson refused the line in order to connect to the advance elements of Eleventh Corps which were arriving to the north of Gettysburg. 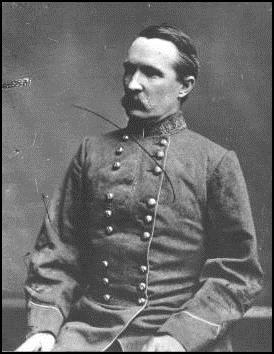 Major General Dorsey Pender C.S.A. 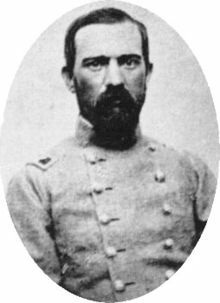 Today’s article is about Major General Dorsey Pender who commanded A.P. Hill’s old “Light Division” in Hill’s Third Corps at Gettysburg. Pender is interesting, young an pious, but often conflicted in his faith. His questions are similar to those asked by those who want to believe but struggle with believing. His relationship with his wife, a very strong believer was often marred by differences in belief. I hope you enjoy. Dorsey Pender was a “pious, serious North Carolinian”  born in Edgecomb County in 1834 who received “his early education in the common schools of the county”  before he was appointed to West Point. He graduated with the class of 1854, a class that included Custis Lee, Oliver O. Howard, J.E.B. Stewart, S.D. Lee, John Pegram, and Stephen Weed. He graduated nineteenth of the forty-six cadets in that class. He married his wife Fanny in 1859. She was the sister of one of his academy classmates Samuel Shepperd who died a year after graduating from the academy. She accompanied Dorsey to the Pacific Northwest where he was serving at the outbreak of the war. They had been married two years when he volunteered to serve the Confederacy, he was just twenty-seven and she just nineteen and already a mother expecting a second child when he went to war. Like many young couples separated by war theirs was often plagued by misunderstandings and highly emotional, something that is evidenced in their correspondence. Pender is often described as devout in terms of his religious beliefs but his devoutness was in large part due to the spiritual conflict that he was going through. Pender was a tremendously proud man but felt the need for some kind of salvation and while he “sincerely tried to be a good Christian” but could not understand why good works did not earn salvation.”  The young general sought the counsel of a chaplain, but this did not ease his mind. Eventually he was baptized and confirmed in the Episcopal Church, but even this brought conflict with his wife who was not able to be with him. Despite these attempts he still doubted and months later still “considered himself a “perjured” sinner, having made vows that he could not keep.”  This type of religious experience, that of men who question their faith was not unique to Pender and is not unusual today. 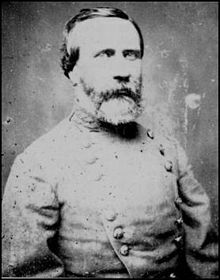 As he gained more experience Pender became a favorite of Robert E. Lee who admired him for his competence as well as forthrightness. 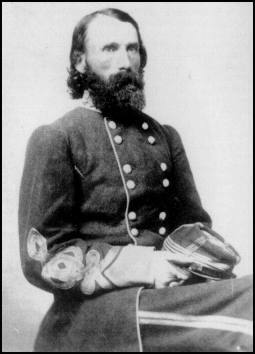 “At Harper’s Ferry and Shepherdstown Pender had shown himself qualified to handle more than one brigade.”  Pender was “only seven years out of West Point”  in May of 1863 when he was promoted to Major General and given command of his division. He was only twenty-nine years old, and the “youngest of that rank in the army.”  The young general was deeply loyal to Powell Hill and a partisan of the Light Division which he now commanded. Though he was young he had risen “on first rate ability, steadfast ambition and a headlong personal leadership in battle which gave a driving force to his brigade”  which he considered “the best brigade of the best division”  in the army. Pender’s four veteran brigades were commanded by three experienced officers and one new to brigade command. 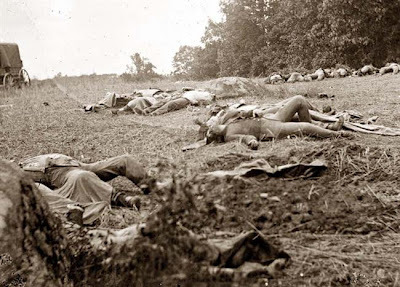 However, the young general would not get to lead them into action for long as he was mortally wounded by a shell fragment before the division was to go into action on July 2nd at Gettysburg. 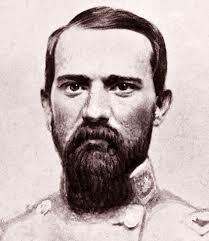 Though surgeons believed he would recover he succumbed to his wound during the Confederate withdraw from Gettysburg. “In his dying moments, he asked that Fanny be told that he had no fear of dying.”  He continued and said “I can confidently resign my soul to God, trusting in the atonement of our Lord Jesus Christ. My only regret is to leave her and our children.” Evidently, he finally found a measure of peace in the faith that had eluded him in life. Fanny never remarried and became an independent women serving as the head of a school and as Postmistress of Tarboro North Carolina where she died in 1922 at the age of eighty-eight. In a day or two I will be posting an article on the terrible nature of war. I am a career military officer who suffers from PTSD, TBI and other afflictions after serving in Iraq’s Al Anbar Province in 2007-2008. I have seen firsthand the terrible effects of war. I am also a historian and I Assostant Professor at a major military staff college which helps educate senior military officers from this country and other countries. I my capacity there I teach ethics as well as lead a staff ride, or study of the Battle of Gettysburg. In my teaching I always attempt to deal with the human cost of war. Gettysburg was the most costly battle ever fought on the American continent. Around 50,000 men were killed or wounded there in three days of battle. William Tecumseh Sherman noted that “war is hell.” I agree, there is nothing romantic about it. The effects of war last generations and though we have been at war for the last thirteen and a half years, war itself is an abstract concept to most Americans. Fought by professionals and only experienced by most Americans on the news, movies or most the banal manner, video games, the cost in human terms is not fully appreciated, and nor can it be. Our politicians have insulated the public from war and in doing so have ensured that we are in a perpetual war which benefits no one. That is a big reason why I write so much about it, not to glorify or romanticize it, but to try in some war to help make it real to my readers. This is a draft chapter from my Gettysburg text.